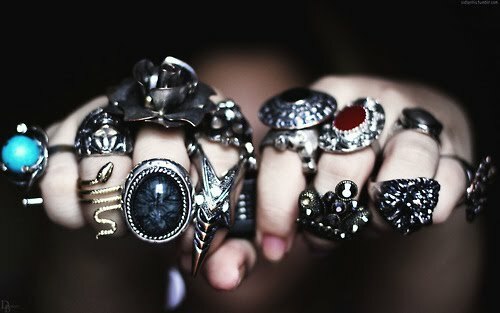 wow, wish to have all of those wonderful rings! 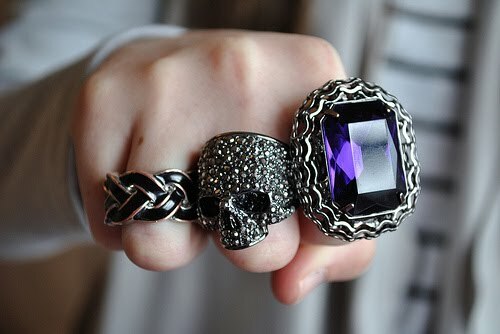 aaah i love rings! I have that owl one in the 1st pic. got it at forever 21.
thanks for commenting on my blog! glad you like it. i love all this pictures! 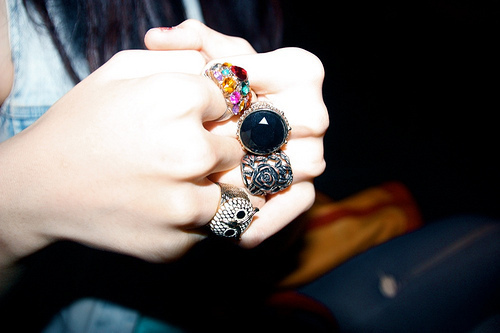 I love wearing a lot of rings! 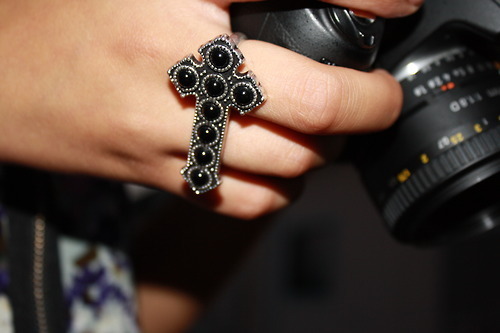 all these rings are stunning, especially the cross one. 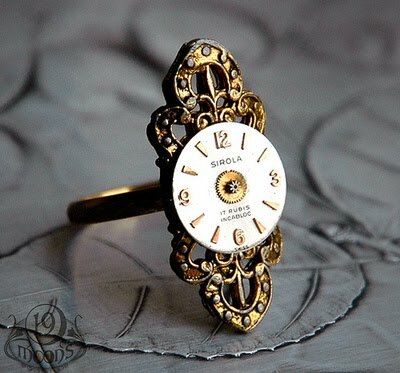 i love all those rings, esp the tea cup and clock rings!! thanks for stopping by :) following! CHECK OUT MY RING GIVE AWAY! Wow! What interesting rings! I've never seen rings sso unique! omg! 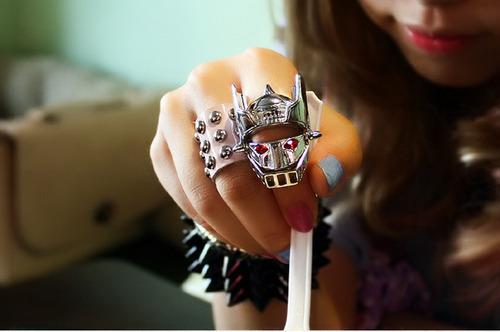 those rings are sick! want them all! these rings are all stunning pieces, and I am officially jealous. 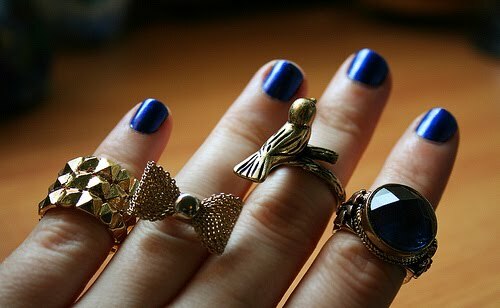 der dunkelblaue nagellack ist besonders toll :) und die ringe natürlich auch! i love all the layered jewelry, great post! Loving your heavy metal!@!! You have officially blown me away!!! Me encantaron esos anillos!!! un beso y gracias por pasar por addicted. 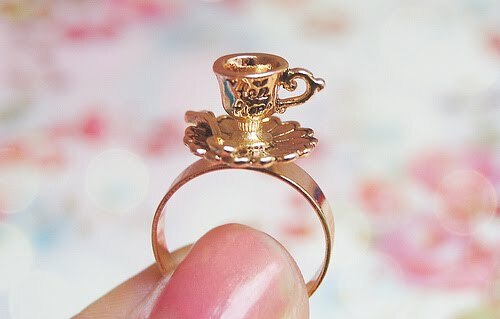 rings of the tea cup and clock rings look at from Wonderland! they are so beautiful, especially the last one! ahhh oh god!!! i wanna steal all of them!! 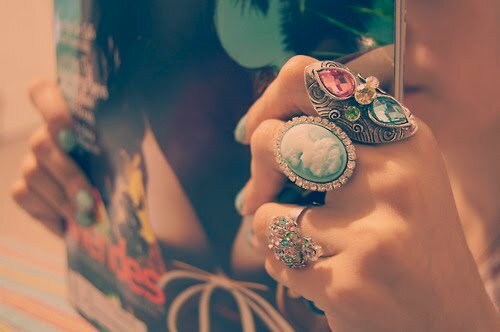 they are gorgeous and im a rings-whore. lols. love love love them. thanks for visiting my blog. i have followed you, mind following me back darl?